Live from the Red Carpet, It's Secondary Dominance! We are announcing a night of glitz, glamour, and of course singing! This year's theme for our concert is Red Carpet! 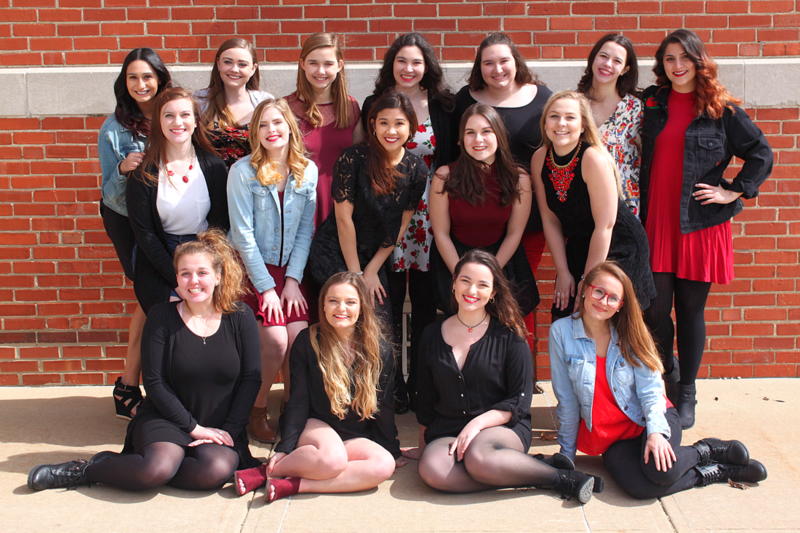 Be sure to come to the Circus Room in the Bone Student Center at 7:30 on Saturday, April 28th for a night of recognition and fabulous singing. Spring is here (sorta)! Our spring pictures looks wonderful thanks to Hannah Witting. Although it was a very chilly spring day, the photos look great! 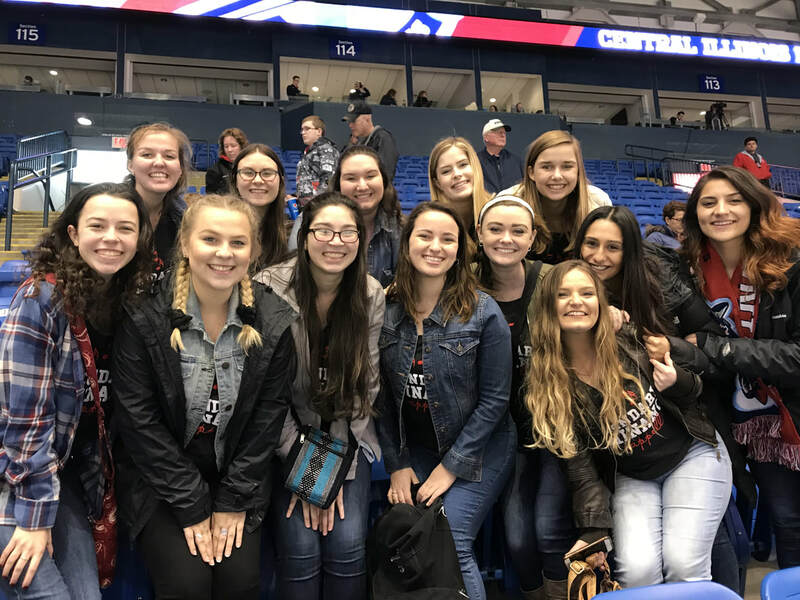 The Flying Aces Hockey Team from Bloomington, Illinois asked us to sing the National Anthem before their game. Of course, we had to stay and watch! We had a blast rooting them on and having lots of laughs with one another. A great SD bonding experience. We ended our Spring Break a bit early to travel up to Chicago for ICCA Semifinals! 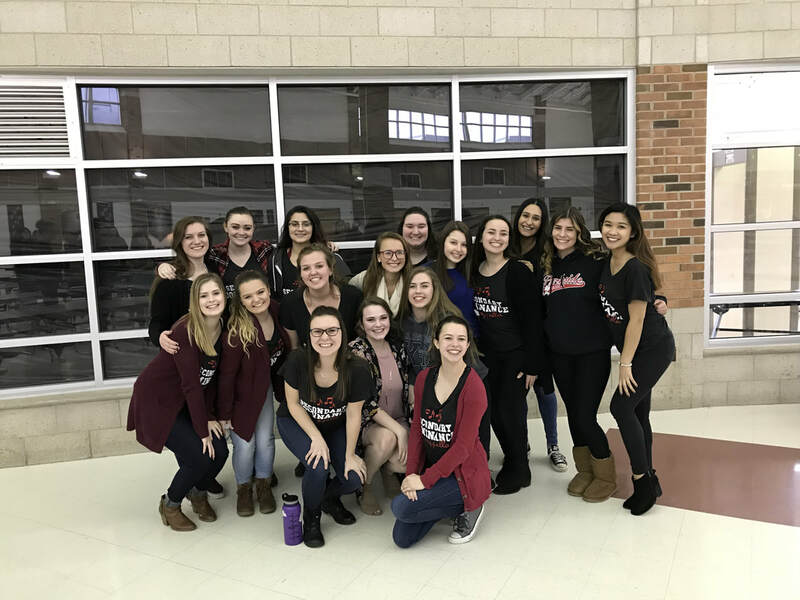 It was such an amazing opportunity to be able to perform in such a beautiful theater and get the chance to showcase our set again (and being the ONLY all girls group in semifinals!?!) What an amazing experience! We were so happy to host the G-men from University of Michigan as they go on tour! 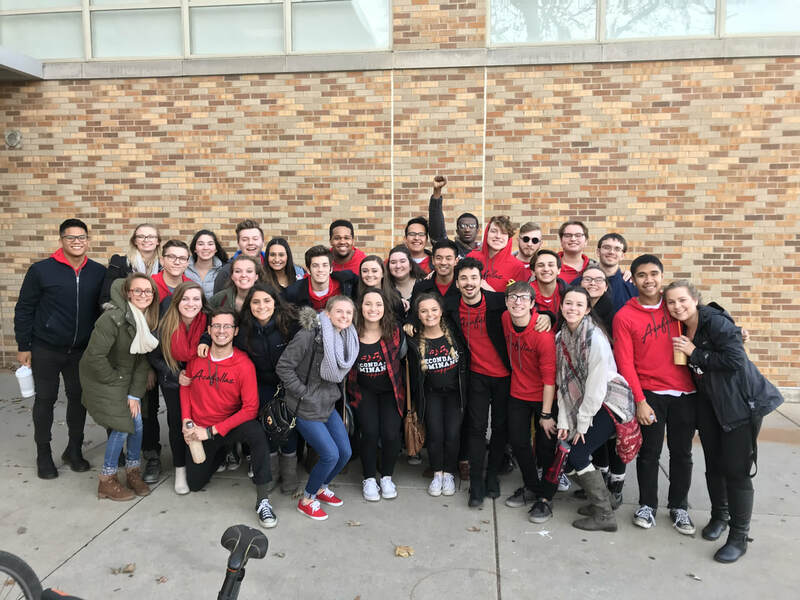 It was great to see their ICCA set for semifinals and we are so happy to show them ours. We are so lucky to be with a community of amazing singers and overall great people. We are so grateful to get to perform for others in the community. 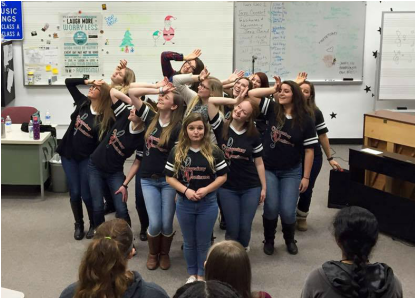 Friday night, we performed at Normal Community High School for their A cappella night. Saturday, we traveled up to Joliet to perform in their choir competition. It was a busy weekend but lots of fun. If you are looking for some entertainment, email us for your next event! What a crazy two days it has been! We visited 7 high schools in the course of two days. Thank you to all the schools that hosted us and for being such a gracious audience! As we rest up for Thanksgiving Break, we are so grateful for the opportunity to make music and perform for others. 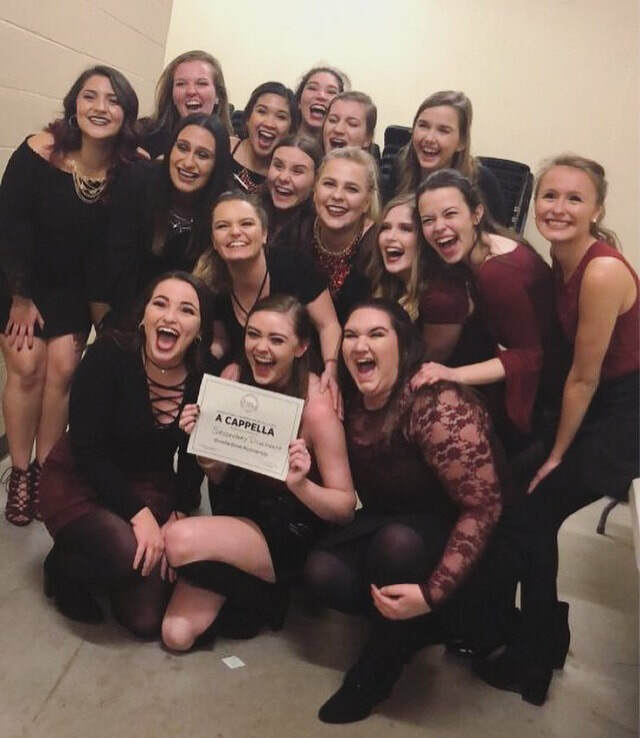 We are so excited to announce that we have been selected to compete in ICCA Quarterfinals on February 3rd! What makes this even better is that we are performing in our own backyard at Illinois State University!! Stay tuned for ticket links and more information regarding ICCA in the future! We had a grilled cheese fundraiser this semester. We had lots of fun grilling and of course, singing. The fundraiser was a success! 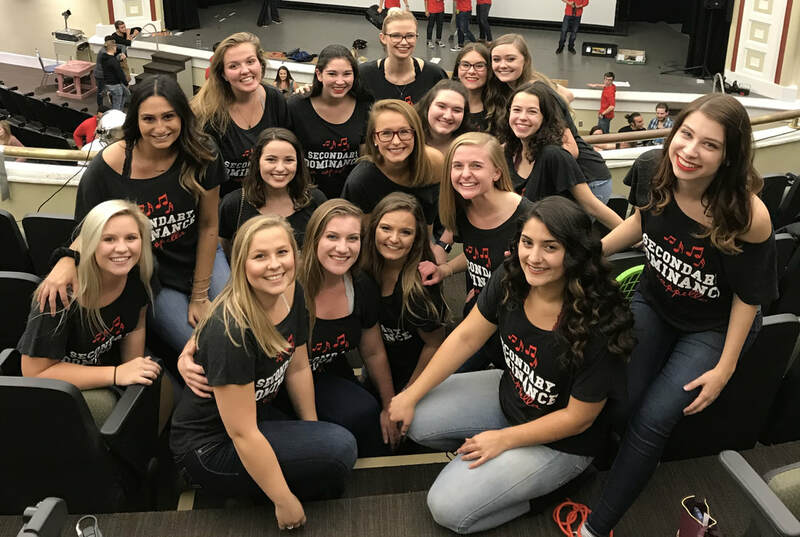 On Friday, October 13th, all four a cappella groups on campus performed in Acapalooza in Capen Auditorium. The night was successful and full great music showcased by Clef Hangers, On The Brink of Normal, and the Acafellaz. On Saturday, September 30th, we had our very first gig of the semester at Evergreen Place: Assisted Living. We performed our latest repertoire to a wonderful group of men and women. They were such a great audience! If you are interested in booking us for an event, check out our Home page or Connect with SD tab for contact information. 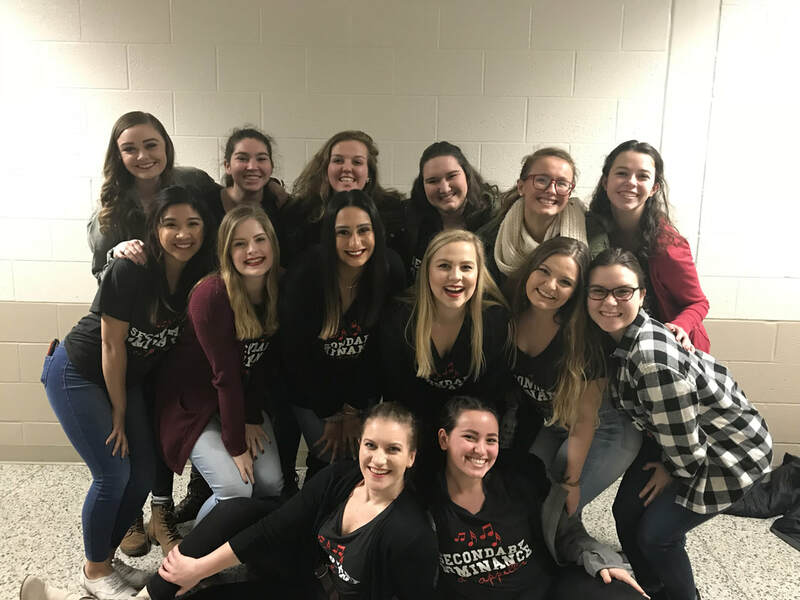 We competed in the ICCA Great Lakes Quarterfinal on February 11th, and we placed 4th!! We are so grateful we got to participate in such an awesome event and make new aca-friends along the way! A huge congratulations to the ISU Acafellaz for placing 3rd, and to the ISU Clef Hangers for killing it as usual. Already looking forward to competing again next year! Over Thanksgiving Break, we had our annual high school tour. We went to 5 high schools over the course of 2 days. It's always such a great experience singing for the high schoolers and showing them how you can keep music in your life even after High School. Acapalooza 2016 happened and it was a huge success! We really showed everyone what we're made of this year and we can't wait to blow everyone's minds even more at our fall concert! End of the year wrap up and auditions for 2016-2017! 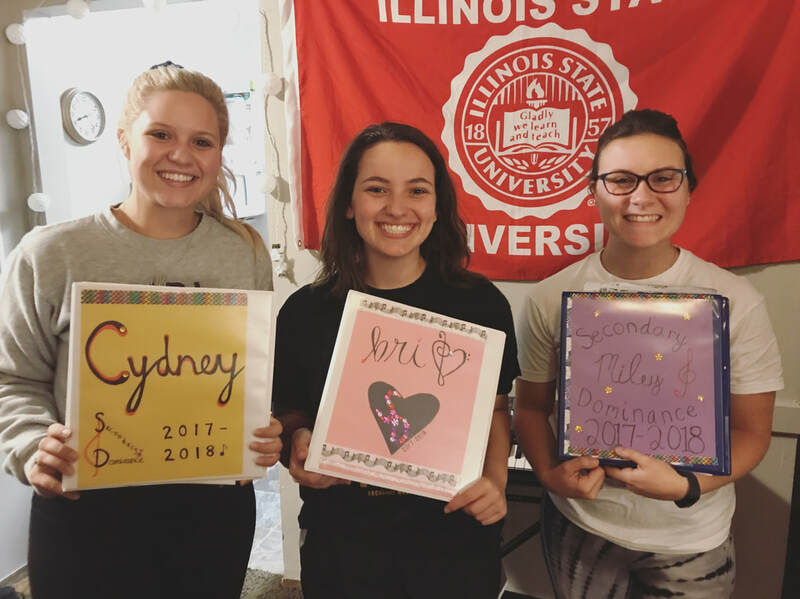 Also shout out to Shelby White as our new Publicity Chair, Shannon O'Connor as fundraising chair, and Marissa Gollogly and Emma Moran as co-choreography chairs! It's going to be a great year! 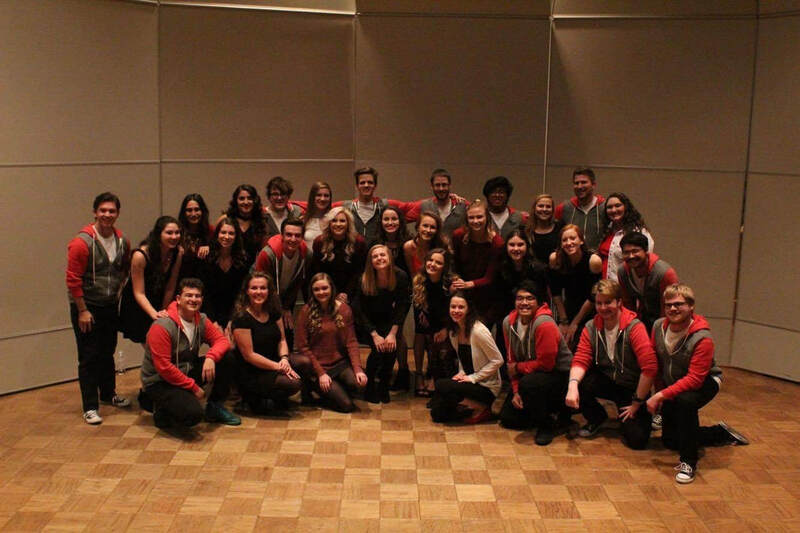 On April 14th we sang a couple songs for the Association of Residence Halls! We learned about the Red and White Scholarship, which is a scholarship that allows students that are going through rough situations to attend school! They run solely on donations, so check it out! Thank you to everyone that came out for our concert! We had a WONDERFUL spring concert and we had SO much fun!! Thank you to Jonathan Slowik for being a wonderful opener (check out him and his band Spooktacular, they're awesome)! Our set featured every member of our group and is available for viewing on our NEW YOUTUBE CHANNEL!!!! We had another GREAT photoshoot courtesy of Abbey!! We are really getting excited for our spring concert!! Only a few more weeks to go!! 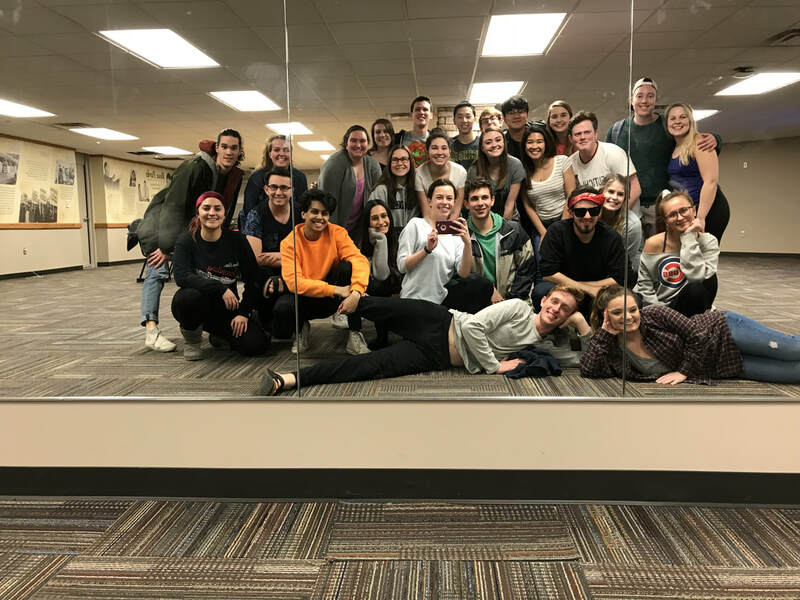 We worked our butts off to prepare for this year's ICCA quarterfinal! We put all we had into it; Blood, sweat, and tears! (except no blood, and hardly any tears) We packed out cars and headed to U of I on January 28th. We gave it out all, and showed the world what we can do! We are SO proud of ourselves!! Our set included Gang of Rhythm, Reflections, and Bedroom Hymn. The video of our performance can be seen under the video tab! Enjoy! We rounded out the year with a special holiday performance at the Senior Center! We had SO much fun learning and performing these Christmas favorites! Ho Ho Ho, and happy holidays everyone! High school tour was a blast, filled with music, laughter, tons of food, rollerblading and many, many games! Thank you for the high schools that had us out! We also want to thank the Blakewells and Moens for hosting us! We have had a couple of very busy weeks preparing for our concert, but we are INCREDIBLY happy with out it all went! Thank you for everyone that came out to support us! We hope you had as much fun as we did! One thing we love more than almost anything is free food. Thank you to the International Gala for welcoming us and sharing your wonderful cultures with us! It was an honor performing for you all! 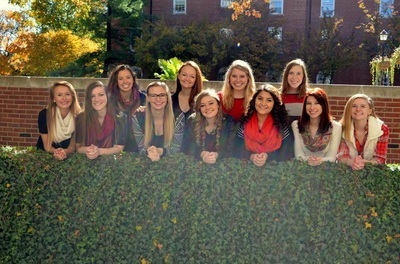 We love our acappella community! 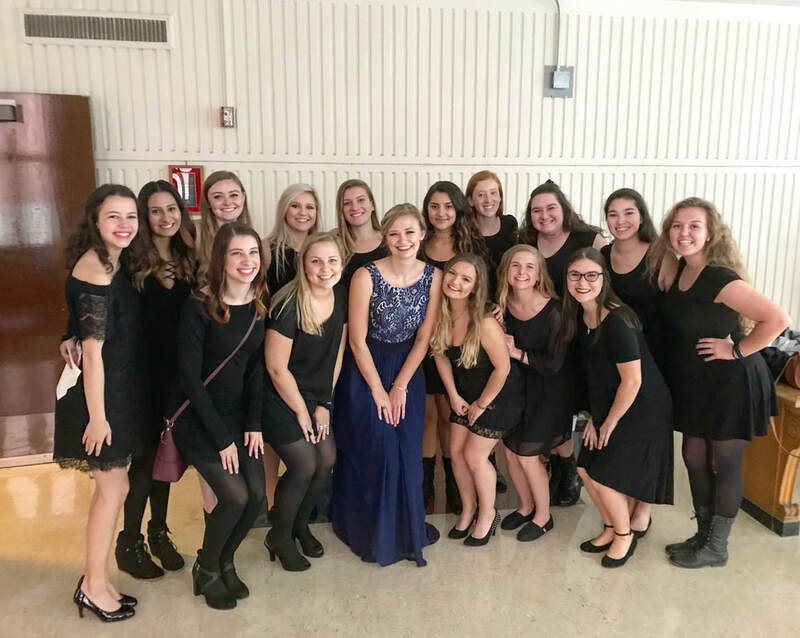 We performed in the 3rd annual ISU acappella combined concert! We sang Mama Who Bore Me, Wild Young Hearts, and Won't Say I'm In Love. Everyone did a fantastic job!! Our combined song was... *drumroll* Somebody to Love! We had an amazing turn out this year! WOWZA we had a busy end of the semester. 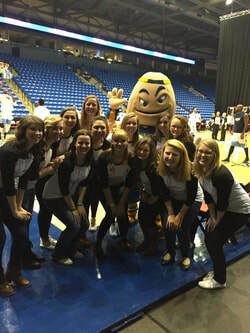 We were asked to go on a mini high school tour with ISU's Men's Glee which was a blast! We were also honored to perform for the survivor's dinner at Relay for Life. Later that weekend we had a FANTASTIC concert. We couldn't have been happier with how it went, despite the unique setting (Holla at ya Schroeder 130). Watch the whole show by clicking on our "videos" tab! 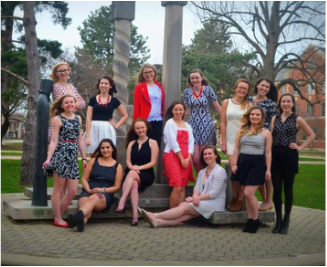 We had our elections for the 2015-2016 year, and said goodbye to our seniors! Our last hoorah of the year took place at NIU, where we got the chance to open for our favorite hunky men! (NIU Husky Hunks.) Thank you to everyone who has made this our best. year. yet! What a weekend! 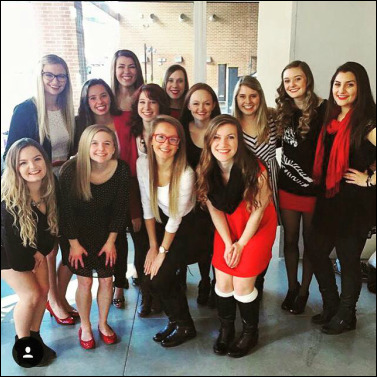 As you probably already know, we traveled to UW-Madison to compete at ICCA on Valentine's Day. It was basically the best V-Day eva because who doesn't like eating/laughing/singing with their fave ladies???? Really though, it was fun. FREEZING (I'm talking never-complaining-about-going-to-school-in-Illinois-ever-again freezing) but still so fun! We roadtripped from the 'burbs in the mornin', got settled into our hotel (super classy by the way. SD knows how to 'sconsin ;), went to soundcheck and picked #2 which we were super thankful for because after performing second, we got to relax and watch the rest of the crazy talented groups. We had so much fun on stage and had a few 'fellaz there to support us. 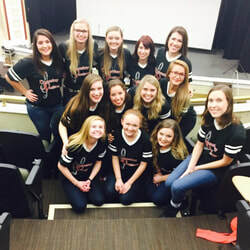 We're so proud of our performance and all the hard work and dedication we put into ICCA. All in all, Galentine's day was da bomb and we lived it up in 'Sconsin!! HOLY CRAP. 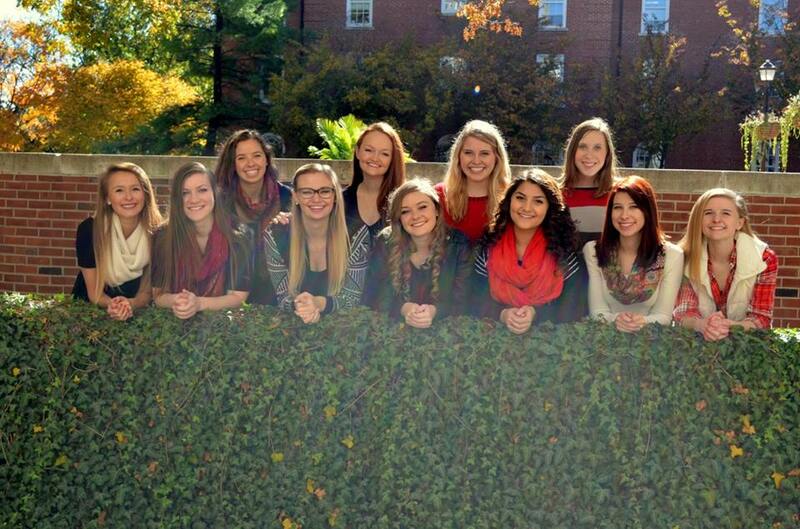 How is it already time to be thinking about ICCA?!?! 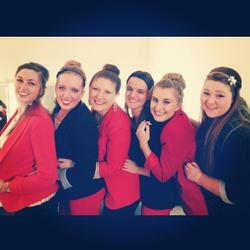 Welllllllll we just found out that we will be traveling to UW Madison for ICCA in February. I mean, we're really excited because #Braska. So many adventures and bonding and eating and singing and UGH. We're excited. That's the moral of the story. More details to come!! Our concert was amazing!! The audience was awesome and we left feeling really proud and accomplished of our hard work and the great performance we were able to put on for you all. THANK YOU THANK YOU THANK YOU to everyone that braved the cold and came out to see us. We had a blast and a huge shout out to the NIU Huskie Hunks for being a fantastic openers! We were so pumped they were able to come down and sing for us. Also, Uptown Galleries was the perfect venue to sing at. GAH everything just went so well. MUCH LOVE. WOW! Our concert went crazy well. It was our first performance of the year and it was super fun. We sang three songs and stomped our hearts out for "Mama Who Bore Me." Also, we have these really cool new shirts and we made our debut in them last night. So many pictures because why not?? Still can't over how much fun we had. And singing with the other three groups was a blast. Thanks for being our fraaaands (ha puns). Anywho, thank you to everyone who came out, the audience was freaking awesome! Gosh, we have just really missed singing for you guys and can't wait for moreeee wheeeeee. 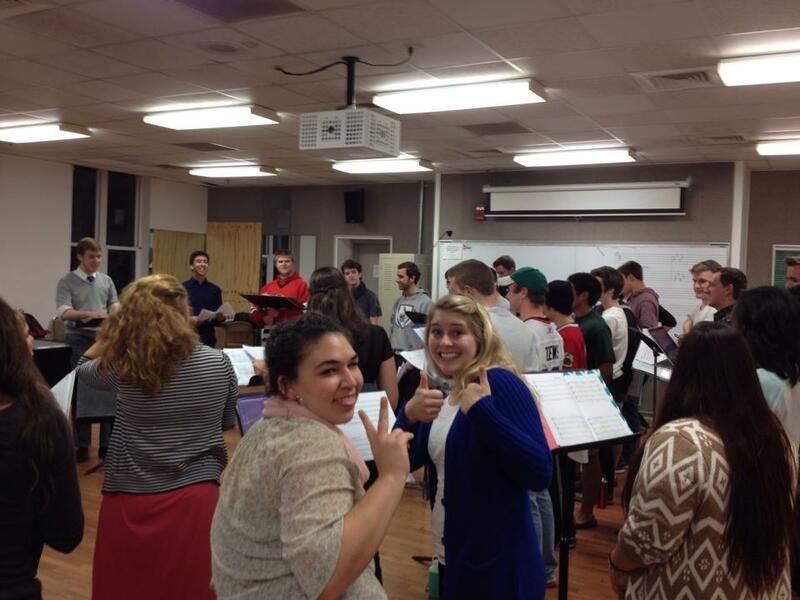 Tonight we had a combined rehearsal with the three other a cappella groups to learn our song for next week's concert! It was awesome singing with everybody. This campus is filled with talented musicians. And it was pretty awesome to have men singing the bass line. It's going to be so fun to perform and we are looking forward to our first performance of the year! Shout out to Aly and Laura being all cute and stuff. 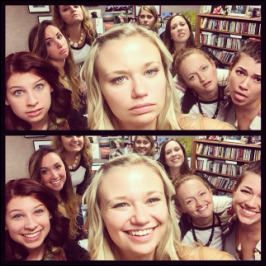 Well, we called back ten girls today and came out with five new faces of SD! We had so much fun hearing everyone again and getting to see a little more personality from the girls. It was pretty cool to hear all of their different voices with each other and notice who meshed right away. We took three altos and two sopranos so we will have fifteen girls this year. We are so excited about the new group and are pumped for our first rehearsal together this Thursday. Stay tuned! Auditions over the past few days have been great! We heard a lot of talented voices and met a lot of sweet girls. Unfortunately, we couldn't call back everyone! We are really excited to hear the ten girls we called back again and see how everyone works with each other. It's a fun, but difficult process. We'll keep you updated! Today, SD had our welcome back meeting. We talked about a whole bunch of stuff and are pumped for the things we already have planned. Most importantly, auditions are this upcoming Monday and Tuesday, August 25 and 26 from 5-9 p.m. in Cook Hall, room 109! We are excited to hear everyone and get to know the new faces that will be SD this year. Stay tuned! Well, another great year of SD is coming to an end with our last performance tonight. We will miss our seniors! And we wish Theresa the best of luck studying abroad in Spain next year. (SD is so cultured, guys). But we are excited to give our voices a rest for the summer and come back to school with some new lovely SD faces. 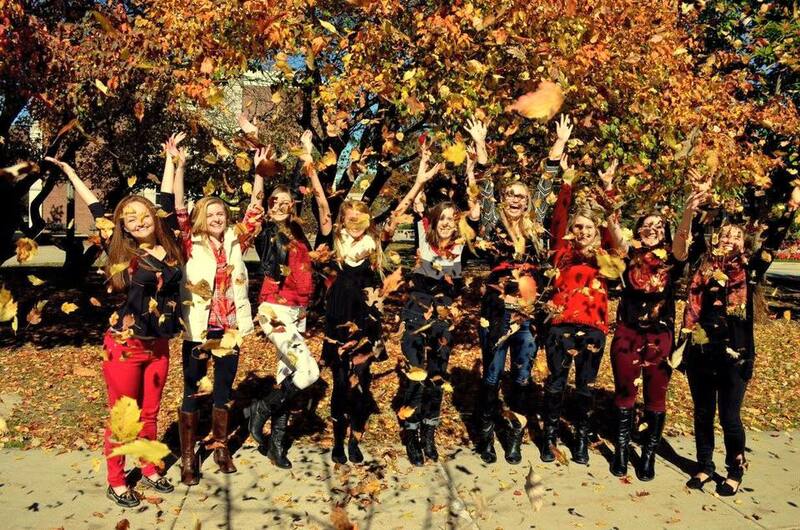 Keep checking back to see what your favorite Secondary Dominance ladies are up to! We've had a long, awesome semester! 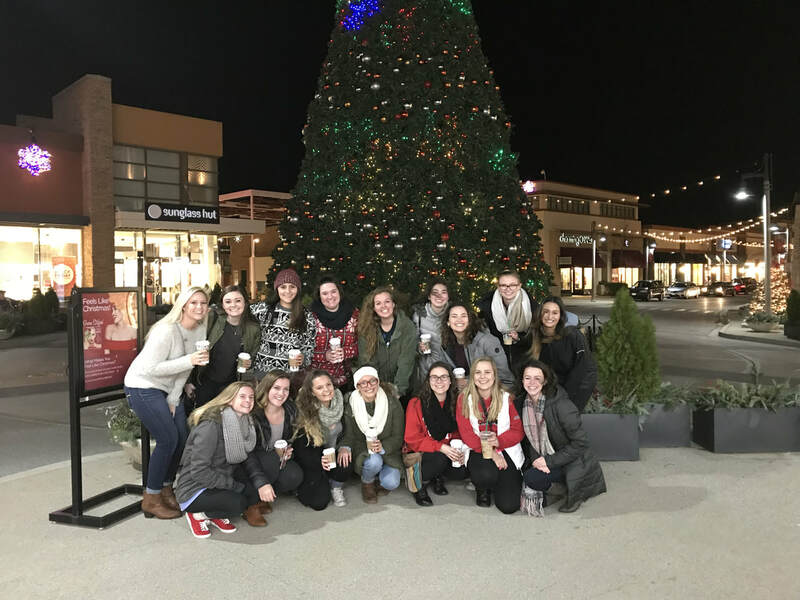 After performing at 4 High Schools and a nursing home on our High School Tour, Having out 10 year anniversary blast from the past concert, singing at Music for the Holidays, and participating in the ISU All-Out A Cappella Concert, we are so excited to have some time to ourselves over Winter Break. There won't be too much winding down, though! 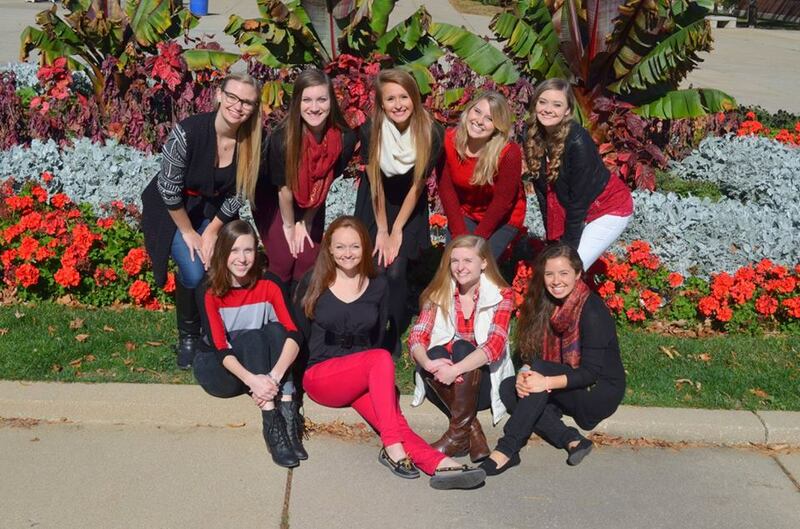 SD is preparing to HOST ICCA SEMIFINALS on April 5, 2014 in Braden Auditorium. Ticket Information will be posted soon! Ok ok ok, so we're going to go ahead and ignore the fact that there have been zero posts in 3 months. I'll give you the gist...we sang. A LOT. And it was super duper fun. 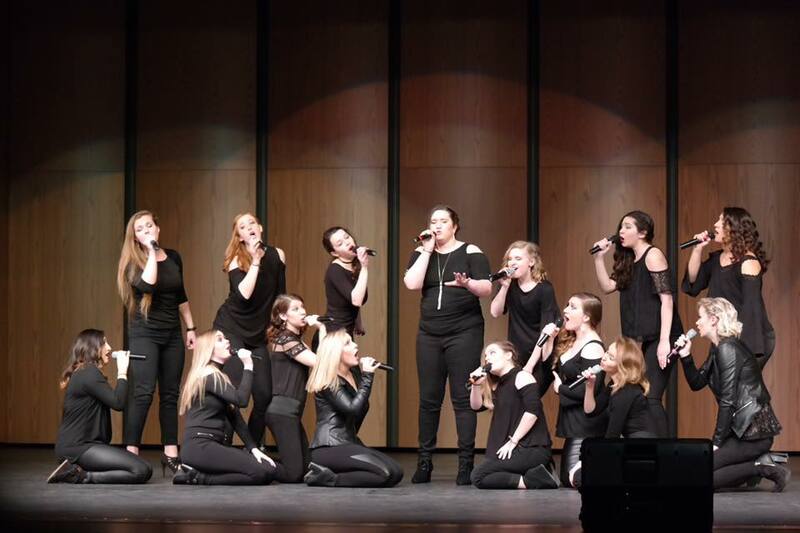 We hosted ICCA for the very first time and it was a huge success. We got to meet tons of new groups, dress up in some cool blazers, and make tons of memories as well as get our name out a bit more on campus. After ICCA we killed a lot of trees. And by that I mean TONS of new music happened, which I must say set the stage for a pretty rockin' concert. When is our concert, you ask? THIS SATURDAY. APRIL 27TH. FIRST UNITED METHODIST CHURCH at 7:30. And guess what, IT'S FREE!! Pretty cool, huh? This is probably the most scatterbrained post of the year, BUT it's ok because that's how the last few weeks have been. Lots of singing and choreography and memorizing. But after MUCH preparation, we are ready and excited to finish out the year strong. Come out and support us! Tell your friends! Someone genuinely needs to explain to me where the time went. ICCA IS IN 3 DAYS. 3 DAYS. How...what....when? ICCA IS IN 3 DAYS!? Ok. Time to stop freaking out and give the world a little SD update. What an incredibly successful, busy, crazy start we've had to the semester. The first week or so was spent reviewing choreo, music, and fundraising for ICCA and other upcoming events. 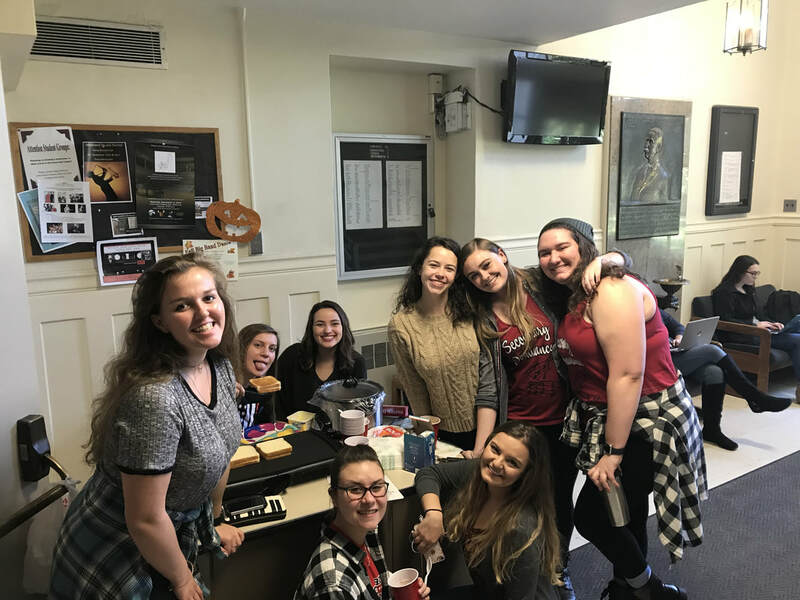 We spent most of the 29th selling grilled cheese, tomato soup, and of COURSE friendship to a hungry crowd in the APL (don't worry...friendship was free. You were really worried, weren't you?) 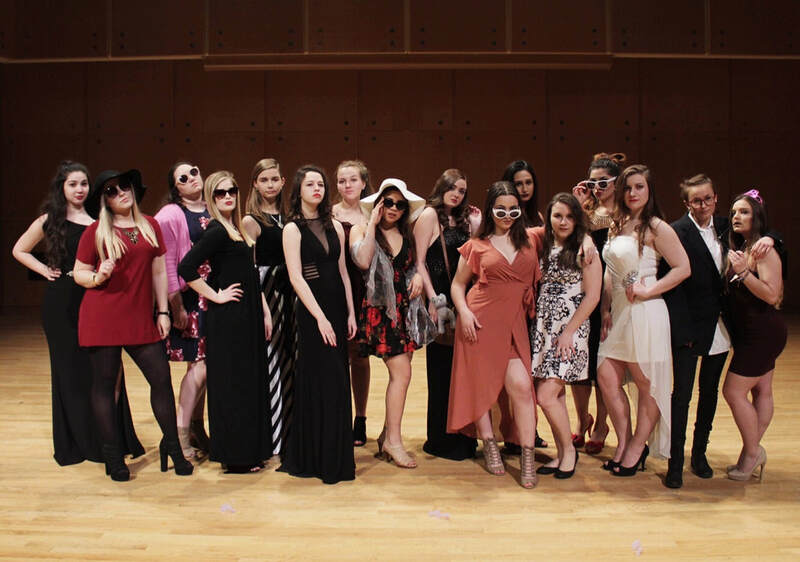 The evening of the 29th was spent in Kemp Hall where broke college kids came from all around (but mostly just Normal) and bid on beautifully organized auction baskets at the SD silent auction/ ICCA sendoff. 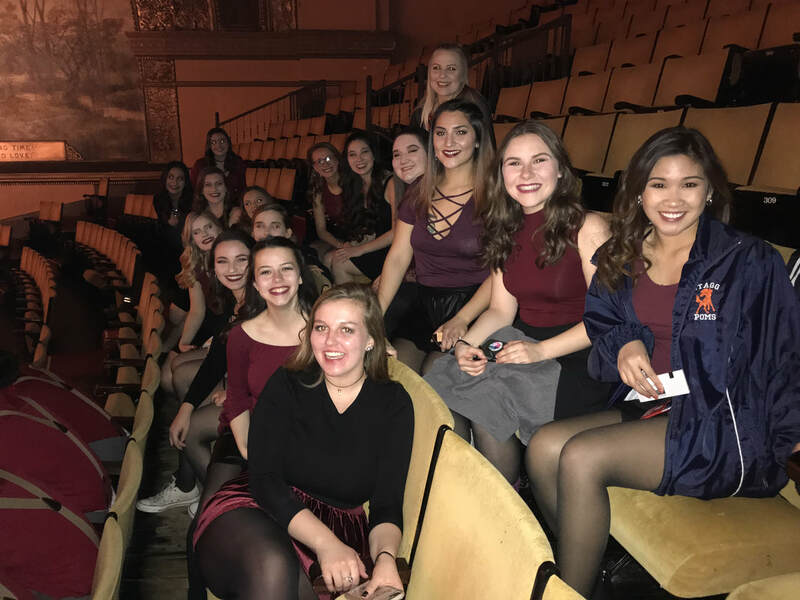 After bidding, we were able to perform our ICCA set for a small audience...always a great thing to do a few days before a performance. The rest of the week includes TONS of nitpicking, lots of laughs, more ICCA prep, and of course...a night in at the music director/ co president's apartment for some bonding, Cherry Berry, and some Pitch Perfect to set the mood! Abby reads a Cosmo. Classic. We're getting ready for High School tour! 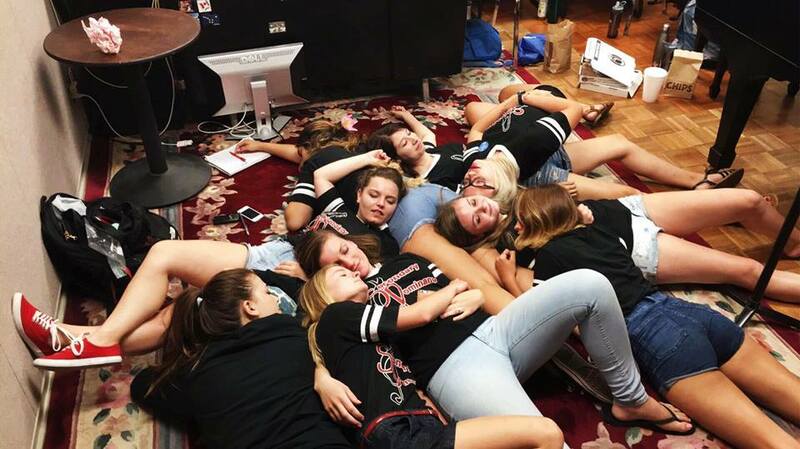 Touring 8 High Schools can be tiring, so we're making sure that we get plenty of rest before we leave, by cuddling of course! This week has so much more cuddling to come and we couldn't be more ready! Considering referring to this blog as "Kirsten's adventures!" Doesn't it feel like just yesterday that we were planning for auditions? Well...here we are! The week of our fall concert! HOW EXCITING! Formations are learned, songs are memorized, and rehearsals run extra long. It's going to be a long week, but I think we're all up for the challenge of making this concert an awesome one. DON'T FORGET TO COME CHECK IT OUT! NOVEMBER 3RD 7:30PM at FIRST UNITED METHODIST CHURCH. Be there or be silly! I better see all of your shining faces in these seats! WHAT!? SURPRISE THANK YOU GIFTS FROM THE FRESHMAN!? Just kidding, we don't actually practice. We just make couch forts. Kirsten's binder is better than yours. Well, we finally did it! Though it was 4 semesters late, Madonna Medley was FINALLY learned this week! The song features solos from every member and will be on our fall program. We also auditioned new solos, learned formations, sight read a few new songs, and of course had endless amounts of fun doing so :). The plan looks pretty similar for next week, and it will hopefully include some acabonding with some other a cappella groups on campus! Feeling accomplished after our first full week of rehearsal! After a stressful week of auditioning, we've finally gotten back into the swing of things with our newest girls! 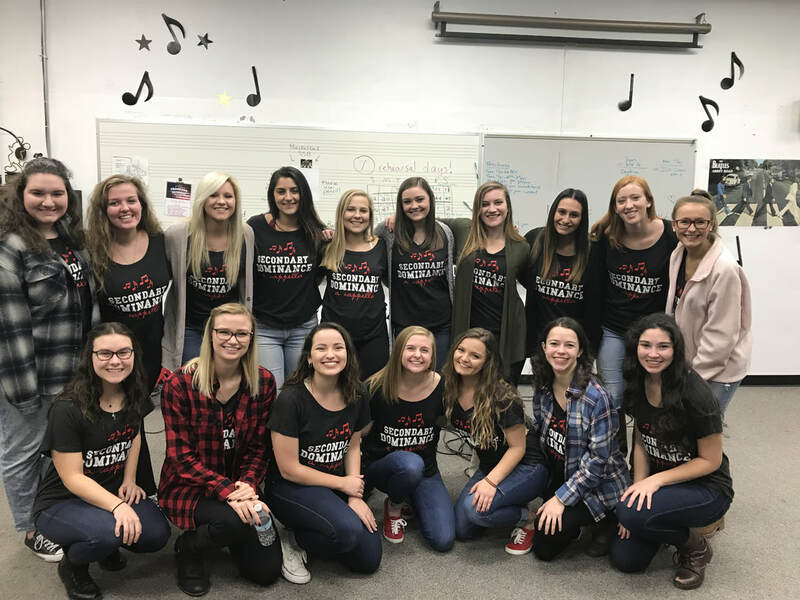 In our first week back we got to know each other, set a date for a fall concert, learned 4 new songs, and even had a surprise visit from some recently graduated members of Secondary Dominance! We'll finish off our week and start the weekend with a quality SD girls bonding night! Some (but not all) New Faces in Secondary Dominance!